Dreamland is the 6th soundset in our series of soundsets for Omnisphere 2 where we take a synthesizer, record the most important aspects of it, and recreate its characteristics in Omnisphere. Dreamland is a collection of sounds based on the Minibrute 2 synthesizer made by French Arturia. Minibrute 2 is a monophonic analog synthesizer with an amazing set of features, such as a built-in sequencer, FM and Ring Modulation and a patch bay where you can rewire the synth engine to your own liking. While the Minibrute synthesizers have a reputation of being hard and edgy, we took the Dreamland into the other end of the spectrum, and aimed for sounds with a mellow analog character. With Dreamland we sampled a large selection of its oscillators: from single waveforms and intervals, to FM, drums and experimental modulation sounds. Using these, we added classic analog style effects, such as phasers, chorus, analog delays and of a massive reverb at the end. Plus 78 INIT sounds for each soundsource available in Dreamland (many of them are variations of the same sound). Number of sounds: 186 singles + 50 multis. 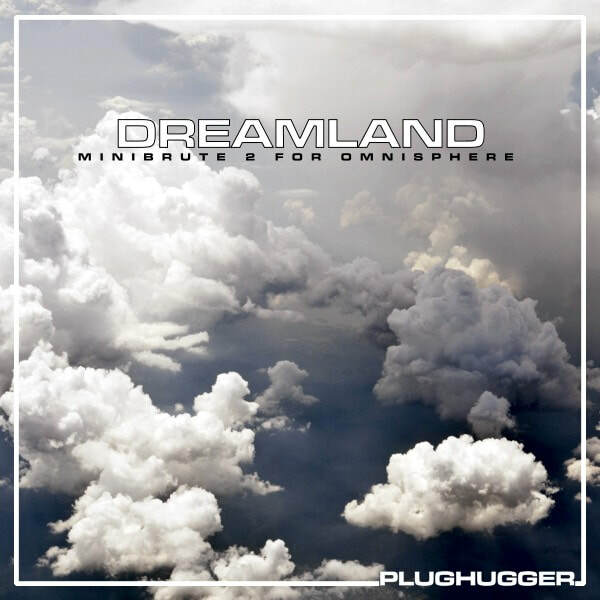 IMPORTANT - Dreamland is a soundset for Spectrasonics Omnisphere 2.5. This product requires a fully working copy of Omnisphere 2.5 to work. This is not a sample set. Please check out the FAQ before buying.